Mountain Housing Opportunities (MHO) is pleased to announce the hiring of two professional employees who will help to lead the expansion of MHO’s affordable housing and community development work. 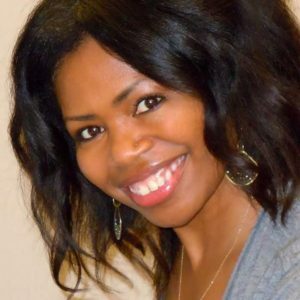 Asheville native S. Antanette Mosley joined MHO as Director of Resource Development on April 18, 2016. Working with MHO’s volunteer Board of Directors and staff leadership, Antanette will develop, direct, and implement MHO’s private fundraising strategy by expanding MHO’s relationships with individual donors, businesses, charitable foundations and religious organizations. As a department director, she also has broad responsibility for MHO’s marketing and communications strategy. Lisa Keeter will continue in the MHO position of Marketing and Communications Manager. Prior to returning to Asheville, Antanette practiced law in Atlanta in intellectual property, entertainment and general litigation. She also routinely handled pro bono cases for clients including the Martin Luther King, Jr. Estate, victims of domestic violence, and organizations assisting homeless people. Under the auspices of MHO, Antanette seeks to continue that same sense of community involvement throughout western North Carolina. Antanette received her B.A. in psychology from the University of North Carolina at Chapel Hill and her J.D. degree from Georgia State University College of Law. Geoffrey Barton is a licensed architect in North Carolina with over 6 years of experience specializing in multi-family housing and civic/cultural projects. He arrived in Asheville in 2013 as Enterprise Rose Architectural Fellow for MHO and the Asheville Design Center. In January 2016 he began his full time position with MHO as Manager of Architectural Services. Geoffrey’s work is grounded in community engagement processes and a commitment to environmentally responsible design. He works primarily with MHO’s rental development department on the design and development of green, affordable apartment developments in Asheville and Buncombe County. Geoffrey also supports MHO’s Affordable Homeownership work by designing single-family homes for a range of family sizes and site configurations, with a focus on energy efficiency and affordability for the homeowner. Prior to joining MHO, Geoffrey worked at Van Meter Williams Pollack Architecture in San Francisco on multi-family affordable housing designs throughout the Bay Area. He received a B.A. 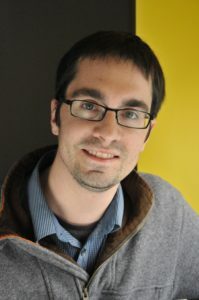 from Wake Forest University in 2005 and his Master of Architecture degree from North Carolina State University in 2009. 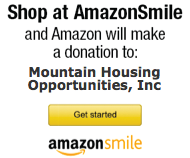 Mountain Housing Opportunities is a nonprofit housing and community development corporation based in Asheville, with a mission to build and improve homes, neighborhoods, communities and lives, and to build hope and dignity in the people they serve. MHO serves more than 1,600 North Carolina residents each year in their programs of affordable housing development, home lending, apartment leasing and management, emergency home repair, and community revitalization. MHO is a member of the national NeighborWorks® America network.